One of my most read books is "Betty Zane" by Zane Grey. I first read this book in the 5th grade when I was 10 years of age. I've read it off and on every since. My son, Mark, gave me my current copy. Mark's inscription makes the book a great value to me. He wrote "Christmas 1997 May the prioneer spirit of the Zane Family continue to abide in your heart. I value my relationship with you most highly. As you read the love story surrounding Betty Zane, be reminded of my own deep, steadfast love for you. Your Eldest, Mark". Elizabeth (Betty) Zane, 1766-1831, sketched on the left, was a real person. Zane Grey also wrote a second book about her life and times entitled "The Spirit of the Border". Grey, 1872-1939, was born Pearl Zane Gray in Zanesville Ohio. His father was a farmer, preacher and dentist. After graduating with a DDS from the University of Pennsylvania in 1896 he dropped the "Pearl" and changed the spelling of his last name to "Grey". As Zane Grey he wrote his first novel, "Betty Zane". When he could not find a publisher, he published it himself. Zane Grey wrote somewhere between 61 and 85 books. In 1916 he sold the movie rights to "Riders of the Purple Sage" for $2,500. My parents loved that movie in 1934. When it was made into a television movie I copied it and watch it often. Several of his books have been made into movies. Zane Grey did not allow the truth to get in the way of a good story. He made a real hero of Lewis Wetzel, 1764-1808. Like Daniel Boone, Wetzel greatly influenced early settlement of the wilderness. Like Boone, Wetzel was a rascal at the very least. Wetzel was most certainly a pathological killer and was most likely insane. He was uncomfortable in the presence of adults, his speech was hesitant and unsure and his behavior was irrational. He was beloved by West Virginians, however, who named a county after him, erected statues to his memory and wrote books of his life. In Grey's book Wetzel's parents and siblings were murdered by the Indians causing Lewis to start a life time of revenge killing. John and Mary Wetzel, his parents, may or may not have been killed by Indians at some later date but Wetzel started killing Indians at age 14 while his father still lived. In fact it was his father who taught him to reload his gun on the run when pursued by Indians. Wetzel twice murdered chiefs who came to peace treaties at the invitation of the U.S. government. In 1781 he tomahawked a Delaware chief as he was getting out of a canoe in full view of the officials. Nothing was done to Wetzel. Again, in 1788, at a peace treaty at Fort Harmar, at present day Marietta, Ohio, he shot Tegunteh, a Senica Chief. He was arrested for that murder but he escaped. Later he was recaptured but the pioneers who considered Wetzel to be a hero got him released on bond. Lewis Wetzel fled from the Ohio-WV area. He never married and he died of yellow fever in New Orleans. He was 44 years of age. Betty Zane is buried in the Walnut Grove Cemetary in Martin's Ferry, Ohio. One of my life goals is a visit to Betty Zane's and her brother's grave site. 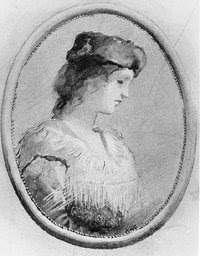 She saved the day in the siege of Fort Henry by racing, under fire from the British and Indians, to and from a block house for needed gun powder. Some consider this to be the first battle of the Revolutionary War. Betty's oldest brother, Col. Ebenezer Zane, who was Zane Grey's grandfather, and his wife Elizabeth, had 13 children. He founded Wheeling, WV. Many of the other cities and roads along the Ohio River, both in WV and Oh, were founded by the Zane family. Amazon has 13 copies of beautifully bound Zane Grey's books. They are priced for $324. In Maine Julie and I passed a typical, old New England house with a sign that said "Books". I did a U-Turn and checked it out. I like books. They had 48 Zane Grey books in the identical same binding as those at Amazon. They were individually priced at $5.00 or $6.00. That would have been nearly $300 for the lot. I knew I paid too much when I offered $85 for the lot and the lady said "I'll get a box". HA. If Amazon's 13 books are worth $324 my 48 should be worth about $1,200. Wow! I reread "Betty Zane" to see if it would be right for my 10 year old grandson Riley, who is a reader. I decided it would not be. Too brutal. Never bothered me but I was reared in another time and age. His mother doesn't even want him exposed to monsters at halloween. I don't know that she is wrong. "Thou shall not" is soon forgotten, but "Once upon a time" lasts a lifetime"
Like you, I discovered Betty Zane at age ten and read it over and over--and I was a girl! Even though I somehow knew that Betty was ging to wind up with Alfred Clark (who, historically, was actually her second husband and whose name may not have been Alfred), I longer for her to marry Lew Wetzel instead. That winter dance, when he shoots a pursuing wolf on the way home, was a high point, and I still remember, from near the end of the book, "His eyes were misty with an unutterable sadness." 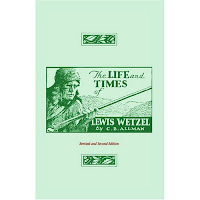 After I had read Betty Zane several times (still ten years old), an uncle lent me a copy of C. B. Allman's The Life and Times of Lewis Wetzel (later reissued as Lewis Wetzel, Indian Fighter), and I was disappointed to learn that Lewis's motive for his lifetime of killing Indians was only that he and his brother Jacob had been captured by some when he was thirteen. You mentioned The Spirit of the Border as another Grey novel involving many of the same characters, but not The Last Trail. I like it least of the three, but if you don't know it yet, you may be glad to know that there IS more! Then there's the posthumously (and relatively recently) published George Washington, Frontiersman, in which etzle and the Zanes also figure. If you don't know these books yet, happy reading! Thank you for a wonderful response. It is great to have an alter ego. I have read all of Zane Grey's books and own most of them. Yes, The Frontiersman was a factual account of one of the truly great men in our nation's young history, Simon Kenton. I duplicated his first trip down the Ohio River by canoe. Yes, learning the truth about Lew Wetzel was a disappointment. Like Daniel Boone, he contributed much but was in fact a scalawag. I have visited the site of Fort Henry in Wheeling and also Zanesville as well as Chillicothe. Also, the battle site at Point Pleasant. There are three great outdoor dramas of that era also in Ohio.